For day-to-day action/updates, please visit my facebook page. So I decided to move to Mexico for a while.. I have some new exciting projects coming up, but for the moment I won't be updating "upcoming concerts". Sorry about that. I'll be based in Xalapa, Veracruz. Digital version up and running. My newly released second album as bandleader: The Aztec Creation Myth Suite, is now available online. So if you're interested in seeing the amazing artwork by Rama King Nash, and/or read the myth that the music has been written over, please follow this link. A big thanks to friend and web-wizard Søren Nørregaard Pedersen (corpyright.com) for making it happen. THANK YOU to everybody involved in the project! 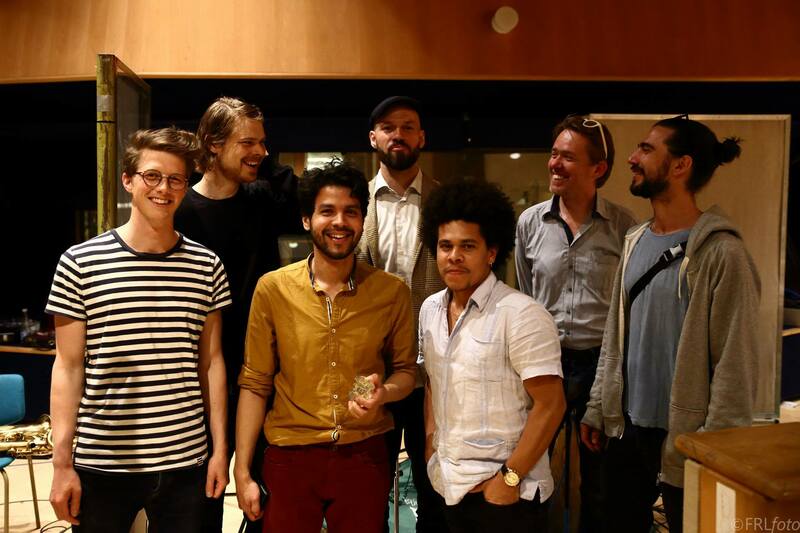 The band: Jesper Løvdal, Jakob Sørensen, Raphael Carvalho Gimenes, Snorre Kirk, Yohan Ramon. Sound engineering and mixing by Henrik Holst Hansen and mastering by Sebastian V Olsen. Today I can finally present to you my second release as bandleader: The Aztec Creation Myth Suite, which now is available for streaming. Or check out the limited edition CD and Art-booklet (only 150 copies made). The first single from the new album "Tezcatlipoca" is out now. This is the composition that won me the prize in January, and so I am very happy to finally be able to share it with everybody. I am thrilled to share this new video made by Frank Robert Larsen (FRLfoto), who has been documenting the project. It's a short insight into the process of making this project. This coming November I will be touring the Danish countryside with my sextet, as a marking of the release of my next album: "The Aztec Creation Myth Suite". I hope to see all at one or all the events! We just finished two great days in the studio recording what will become my next release as bandleader & composer. We recorded a 6-pieced suite that I have written based on the Aztec's Creation Myth "El Quinto Sol / The Fifth Sun". In this project I am collaborating with the great artist Rama King Nash as well as the anthropologist Max Suaza. 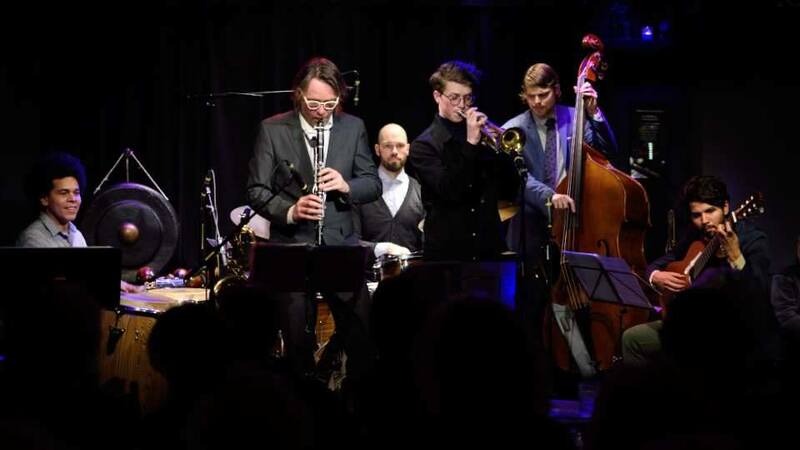 Apart from yours truly, the band consists of Jakob Sørensen on trumpet, Jesper Løvdal on tenor, baritone saxes & clarinet, Raphael Gimenes on acoustic guitar, Yohanier Ramón on percussion, Snorre Kirk on drums. We recorded in the old radio danish radio building with great sound engineering work done by Henrik Holst Hansen. I'm planning on releasing the whole thing in November, so stay tuned! Photo taken by Frank Robert Larsen (frlfoto). I'm very happy to be playing a few concerts this spring and summer with the Lasse Mørck Quartet. Beginning in April we play a concert on the 17th at the famous Jazzhus Montmartre in Copenhagen, after which we'll visit the beautiful Danish island Bornholm, playing at Muzikhuset, Rønne on the 22nd. On the 29th of June we'll be visiting home soil at the new Svendborg Jazz Festival and then finally we'll feature on the Copenhagen Jazz Festival at Jazzcup on the 10th of July. Hope to see you there! 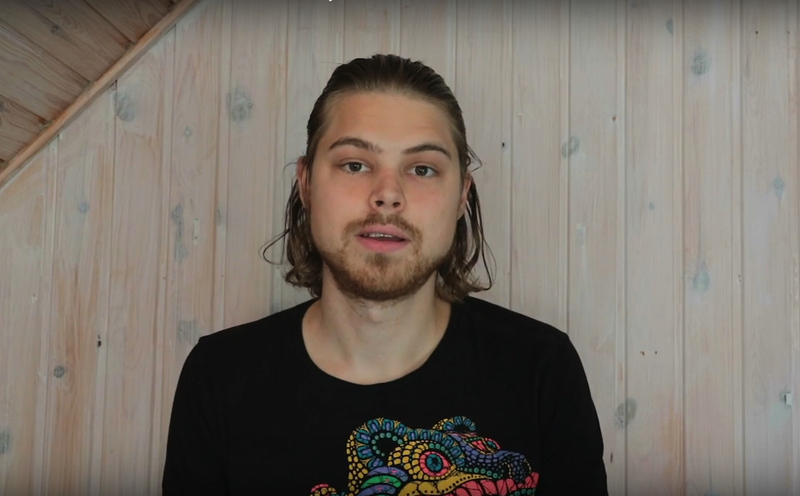 After the winning ceremony last friday where I won the Young Jazz Composer 2018 competition, the national danish news channel interviewed me, and made this reportage of the event. I won the Young Jazz Composer's competition! This is very surreal.. On the 19th of January, I was declared the winner of this years "Årets Unge Jazzkomponist" competition. The evening concert was performed by the amazing DR Big Band which was conducted by Nikolai Bøgelund. He had also done an amazing big band arrangement of my winning composition "Tezcatlipoca". 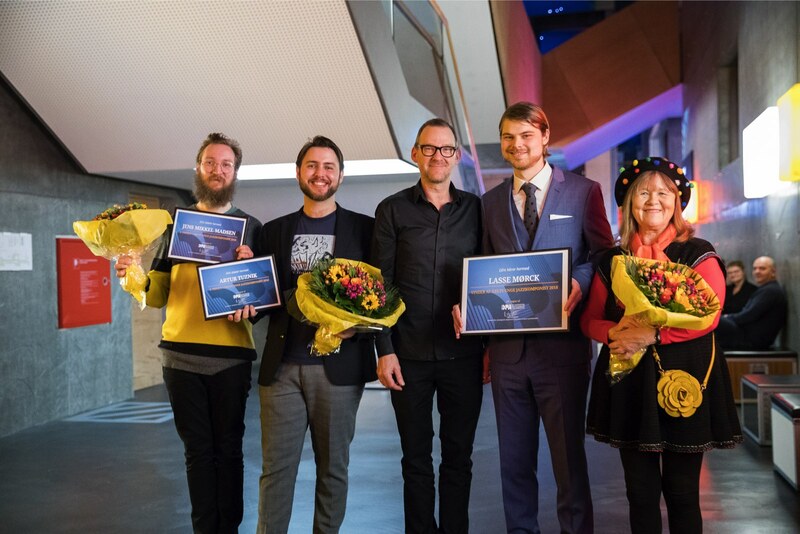 Up above is a picture of me with the two other amazing finalists Artur Tuznik and Jens Mikkel Madsen, the very deserved winner of the Leo Mathiesen Prisen 2018 Daimi, and the vice chairman of DPA Jørgen Thorup. It's with great great joy, that I can announce that I'm the lucky receiver of Jazznyt Prisen 2017 for my debut album: "Imagining Places I've Never Been". AND, on top of that, I'm also very very happy to announce that for the second year in a row (and three in total) I will participate as a finalist in DPA's Young Jazz Composer 2018 Competition. The show will take place the 19th of January in DR byen, Copenhagen, together with the incredible DR Bigband. Tickets can be bought here.